Physical characteristics: The African gray parrot's plumage consists of various shades of gray. Tail feathers are red. 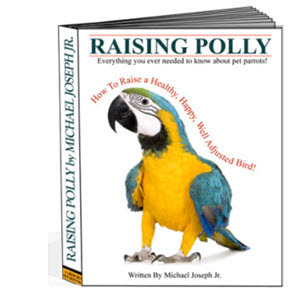 Birds are 13 inches (33 centimeters) from head to tail and weigh up to 0.8 pounds (407 grams). 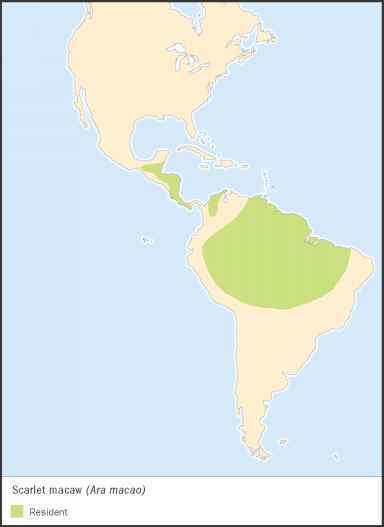 Geographic range: Gray parrots are found in western Africa in coastal countries including Sierra Leone, Ghana, and the Ivory Coast. Birds also range inland in central and east Africa. Habitat: Parrots make their nests in tree holes, sometimes choosing locations abandoned by birds like woodpeckers. The parrots live in evergreen forests and other wooded areas. Diet: Parrots eat seeds, fruit, nuts, and berries. Birds usually pick their food from the trees. They sometimes land on the ground and eat dirt or tiny rocks. This helps the parrots digest their food. Behavior and reproduction: Gray parrots are social birds. They travel during the day in pairs or small groups. At dusk, a large group of birds meets at one spot. This large flock will chatter and then roost, resting for the night. When the sun rises, pairs and groups fly away to eat. Birds often take a midday break and then feed again. Gray parrots are monogamous. When they breed is based on where the birds are. 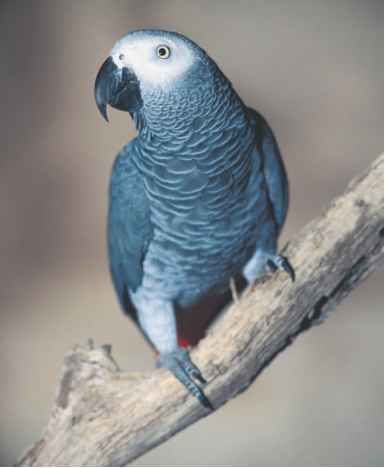 Parrots in western Africa breed from November to April. The breeding season in eastern Africa is during June and July. In the Congo River basin, birds breed from July through December. The female lays two to three eggs. Sometimes there is a clutch of four eggs. In the wild, eggs hatch in twenty-one days. The incubation period for cage birds is thirty days. Gray parrots and people: The gray is an extremely popular cage bird because it can learn many words.